How has your appearance changed/Post a photo for laughs. lol @ the washingmachine story. washing machines have a lot to put up with don't thet!!!!!!! @utwothefly, no not always drunk, always have a sunday off. better go back to sensible photos!!!!! This picture is from the summer of 2008- I'm 29. Taken this winter- just turned 32. Great pics and i love that black dress! Christmas 2000 - yes i was drunk, always seem to stick my tongue out when i am drunk lol! And no idea what i had been drinking to make my tongue that colour! And please admire my lovely glittery balls - and that is my friend at the side of me, being even more drunk lol! seems you were having good time, zhiv!! lol! i was in hospital that evening. cause silas who was 6 months old was very sick and i stayed with him. hans stayed too that nite, and we had a good laugh when the night-nurse came in wiht a '2000'-tiara on her head! I would never believe you were drunk, not you!!!! Zhivvy']Christmas 2000 - yes i was drunk, always seem to stick my tongue out when i am drunk lol! And no idea what i had been drinking to make my tongue that colour! 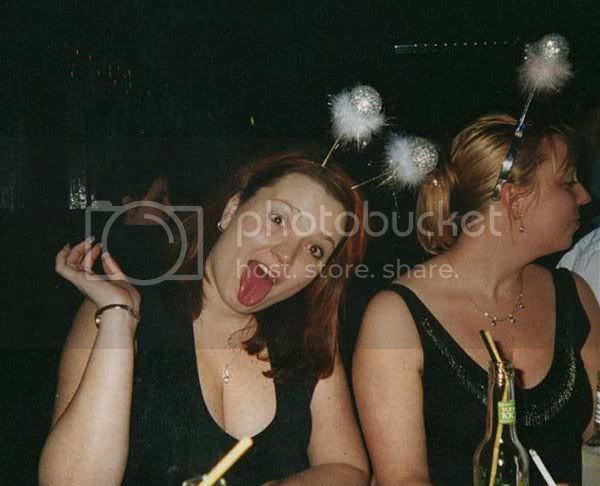 And please admire my lovely glittery balls - and that is my friend at the side of me, being even more drunk lol! 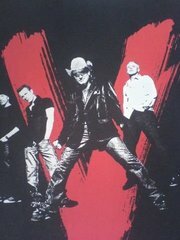 agt']I would never believe you were drunk, not you!!!! I don't like having my pic taken so i have to be drunk to not be whinging infront of the camera lol! I would be offended but think that Hans is right! aah they are so cute. PS: Means you look the same. Big head and gnome nose!!!!!???????? Barbara you are so mean! doesnt sound that mean in dutch, zhiv. and like i said: dont EVER tell her/them!!! Where are any fan gatherings in buenos aires?